The Dragon’s annual Weekender is a Ryder Cup style team event, pitting Team Red versus Team Black in both Best Ball and 1-on-1 match play. It’s an awesome getaway for Dragon members and their families each summer. This year’s competition was held in Santa Barbara, at two distinctly different Central Coast gems — the coastal Sandpiper and the inland Rancho San Marcos. Even though both teams had a different mix of players, there was still a Lebron — Steph rematch feel, as both captains returned. In 2017, Team Black captained by Davis Lee, beat Mike Lum’s Team Red in a rout. Captain Lum, determined to lead Team Red to victory, learned from the year prior’s draft and made sure the teams stacked up very closely. The format for the 28 competitors would be 7 team matches on Saturday and 14 singles matches on Sunday. The teams were looking to fight, claw and grind their way to the 11 points needed to secure the Weekender win for 2018. Saturday’s 4-ball event had seven teams squaring off at the Sandpiper. Many of the holes were picturesque, with perfect weather. Even in the heat of battle, there were still many photos taken of the majestic views the course offered. The reputation as “mini Pebble” are justified. Team Red’s John Park and Brian Fong captured a quick point by easily knocking off Peter Lyu and Song-min Wang, 4&3. Park dominated the match and validated his number one overall pick in the draft. Team Red’s Chris Wong and Po-Jen Lin turned out to be a powerhouse pairing, defeating Captain Mike Lum and Paul Louie 5 & 4. Both Wong and Lin continued their strong play in the Weekender events. Team Black paired rookies Brand Ahn and Jason Shu against Team Red’s Chris Chong and Tom Yee. Chong and Yee are grizzled veterans and captured the NCGA Associate Club Four-Ball Net Championship in 2017. They would be the prohibitive favorites against any team. Except the rookies had no clue who they were playing and took them out for a point, edging them 1 up. Team Red’s Angie Wong and Jon Chong pulled out a half point, with Chong’s clutch 13 footer for par on the 18th hole. They were behind to Team Black’s Jon Chiu and Jason Kung all day, so the half was quite the moral victory. 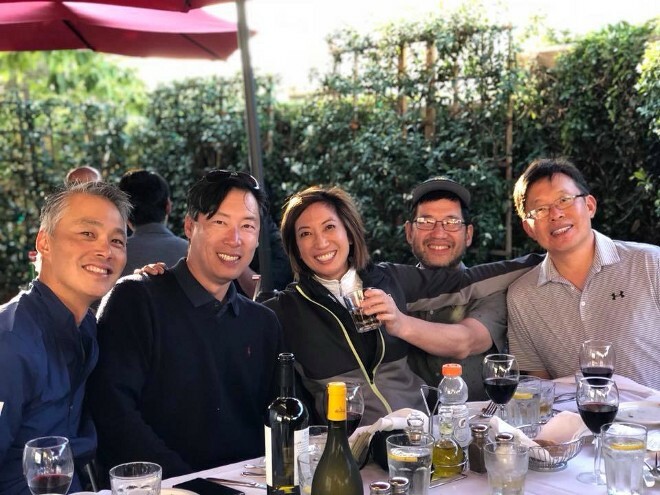 Team Red had momentum, as Dragonettes Karen Fong and Mieko Sugimoto had perfect teamwork to defeat Team Black Captain Davis Lee, and rookie Danny Garcia, 1 up. Dr. Fong made three clutch putts to preserve the victory, while Garcia played very well just to keep the team in the match. In a back and forth match, Mike Gui and Carol Lee captured a point for Team Black against Team Red’s Jonathan Wong and Ken Leung. Carol had to make a downhill, breaking knee knocker for net par to preserve the 1 up win. In the final match of the day, Team Red’s rookie Terry Lim and Daniel Nam salvaged a half point against Team Black rookies Fan Li and Jeff Shih. Neither team was up more than one hole, so it was fitting that they ended up all squared. As predicted after the live draft, the matchups looked extremely competitive, and the score showed it after Day 1, with Black leading 4 points to 3. Black would need to capture 7 more points, while Red was still right there, only needing 8 points out of the 14 singles matches on Sunday. The Dragons dined together at Cucina’s and also strategized on who should be matched up in singles for Sunday. Most enjoyed their meals and wine, while some of Team Red really analyzed favorable matchups to try to win the event. John Park and Angie prepped Captain Lum with their analysis. Their plans were executed beautifully, as Team Black Captain Davis Lee fell into virtually every one of their traps. Team Red was feeling pumped with their matchups for Day 2. Sunday’s singles matchups were played on the Rancho San Marcos course, tucked into the Santa Barbara mountains. The course was much tighter than what they had experienced at the Sandpiper links style course. In the shotgun start, Team Red looked like they were going to take the Weekender down, as the early matches went their way. Mike Lum beat Team Black’s Danny Garcia, 3&2. Team Red’s John Park defeated Jason Shu, 2&1. Team Red’s Angie Wong played superbly against Jason Kung, for a 2up victory. Team Red members that finished early were all smiles, feeling a rout in the works. Except Team Black had a tsunami wave crash the party. Team Black’s Peter Lyu beat Paul Louie, 4&3. Black’s Chris Wong cruised 5&4 against Red’s Brian Fong. Former matchplay champ, Song-Min Wang scored a point for Team Black, defeating Jon Chong, 2&1. Black’s Po-Jen Lin beat Karen Fong, 3&2. The wave kept coming in the form of halves by Brand Ahn and Carol Lee, who squared up their matches against Jonathan Wong and Danny Nam, respectively. 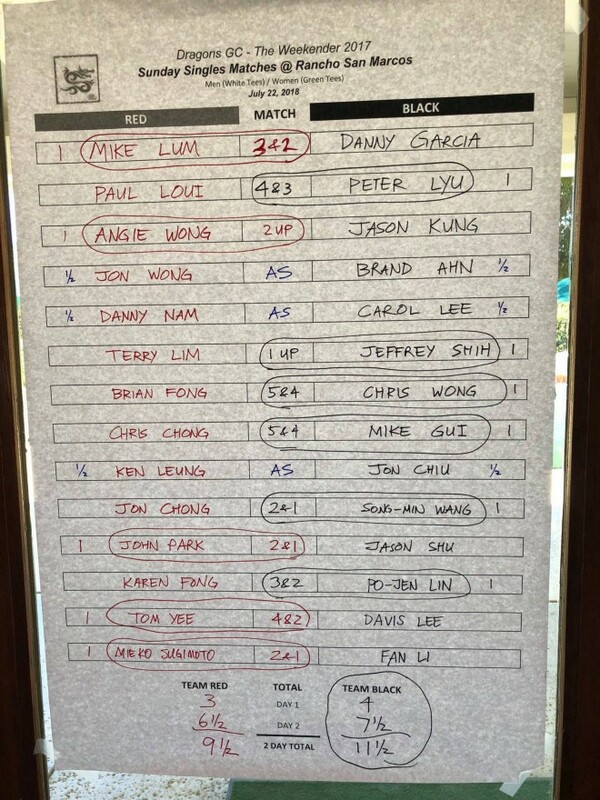 Team Black’s Jon Chiu came from 4 holes down to square his match with Ken Leung. Team Red’s Mieko Sugimoto held on for victory over Fan Li, but it was too late. Team Black had 11 1/2 points to win the 2018 Weekender. In the end, Team Black celebrated the intense, grinding competition. 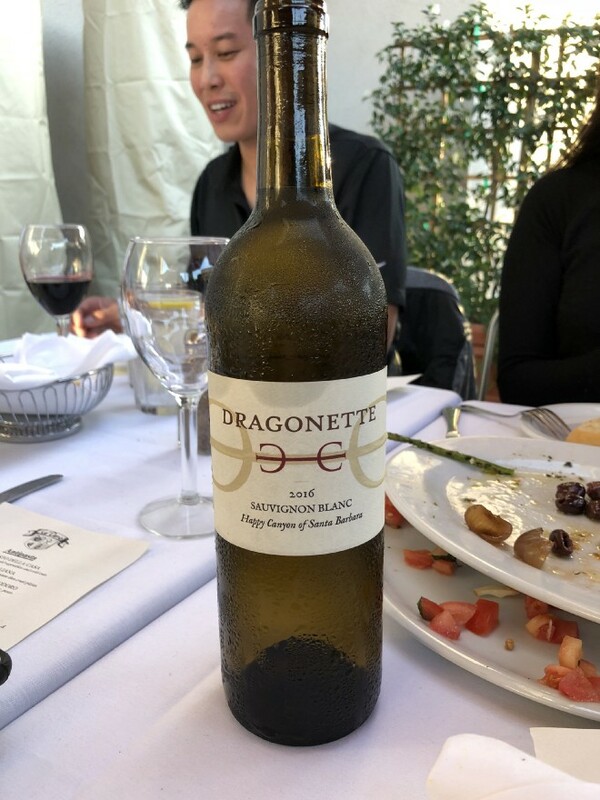 They all received Wine Glasses and varsity patches with the Dragons insignia, along with 150 precious Dragon Cup points. Captain Mike Lum selected John Park as MVP for Team Red. John continued his forceful run in 2018, atop the Dragon Cup leaderboard, and winning both of his matches in the Weekender. For Team Black, there were a number of standouts, Chris Wong, Mike Gui and rookies Brand Ahn and Jeff Shih. Captain Davis Lee selected Po-Jen Lin as Team Black’s MVP, as he contributed big wins in the team and singles matches. He also did it against Karen Fong, who has been playing extremely well this season in all formats. The Weekender is always a fun, intense competition that has both teams coming together for the victory. It makes you bring your best game, or in Team Black’s Davis Lee, your best luck out, as his team won in spite of his own awful golf performances. The Weekender had a big impact on the Dragon Cup leaderboard. All of Team Red received 50 points for participating, while all of Team Black received 150 points for the win. This narrowed John Park’s lead over the field, which stands at 480. Peter Lyu now sits in comfortable reach behind Park with 458 points. Fan Li bumped up to 3rd with 422. Davis Lee jumped several spots to 4th place at 409. This year’s Dragon Cup is anyone’s game, as the players atop the leaderboard are either out of the Match Play event, or did not participate. It will be a mad race with three tournaments and the results of the Match Play championship to go.